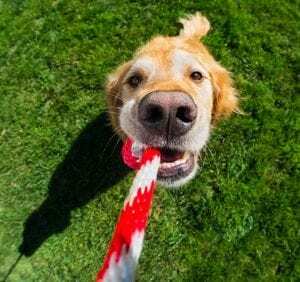 Fun games for you and your dog can seem hard to come up with. Going on your daily walks or playing the same games can become a boring drag once it’s done over and over again. Sometimes the best thing you can do is add some spice into your dog’s life with new games to play. Keeping the fun and refreshing games in a rotation will help keep your puppy healthy and happy. Tug of War is a great game that you can play with your dog. 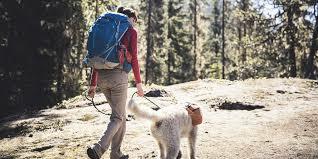 Playing this game will provide a great source of exercise and excitement in your dog’s life. Be sure to be cautious when playing this game and don’t tug too hard on your dog’s teeth. 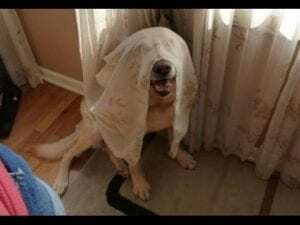 If your dog is good at staying when told, playing hide and seek will be a great game for you both to play. You can have your dog sit while you hide. Another method of playing hide and seek would be to hide some of your pup’s favorite treats for him to find. 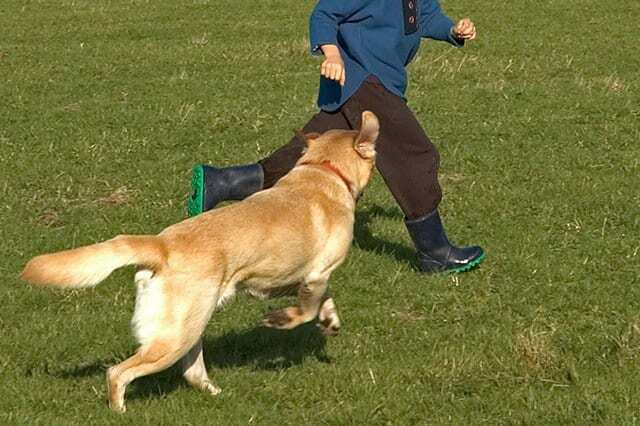 Dogs love to chase things due to it being one of their primal instincts. A perfect game to play with your energetic pup would be playing chase. Chase is a great game to play if you have a dog that has a lot of energy that they need to burn. 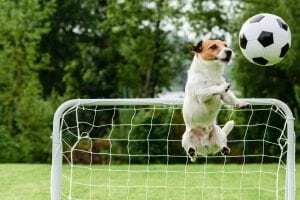 Believe it or not, dogs can play soccer. 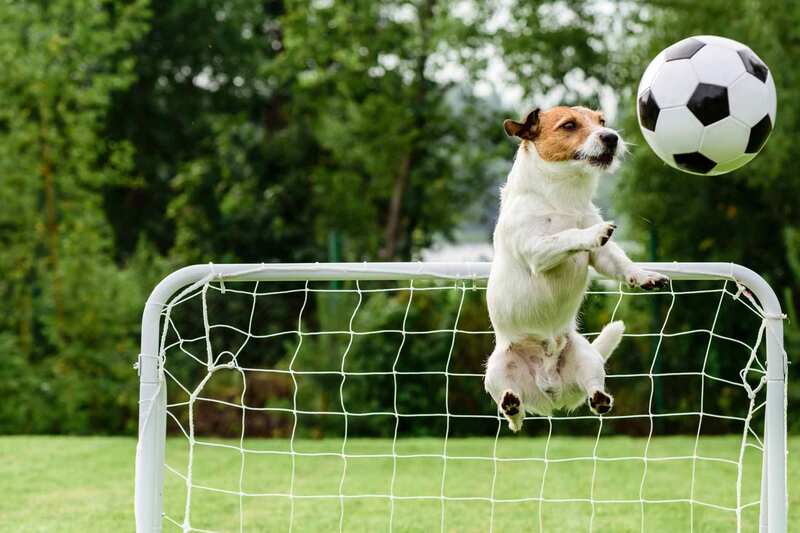 All you need is a soft ball that can be kicked and have your dog fetch the ball. 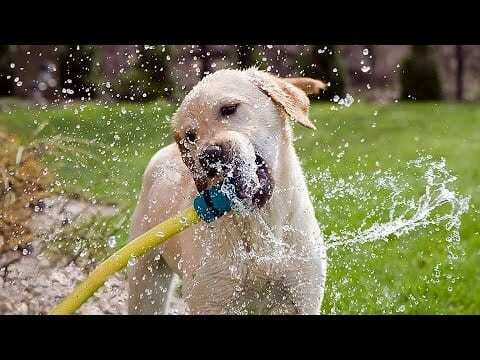 If you have a water friendly dog, then playing with water will be a fun activity to introduce to your pup. You can play chase with the sprinklers, water hose, sprinklers, or simply taking him to a dog-friendly pool. Last but not least, playing with bubbles can be a fun activity for your dog. Dogs love bubbles just as much as children do. 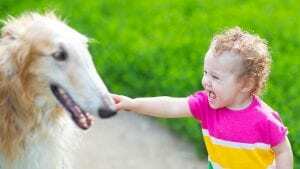 Bubble-chasing resembles characteristics of preying on small animals which is why they love it so much. Before playing with the bubbles make sure that they are non-toxic.